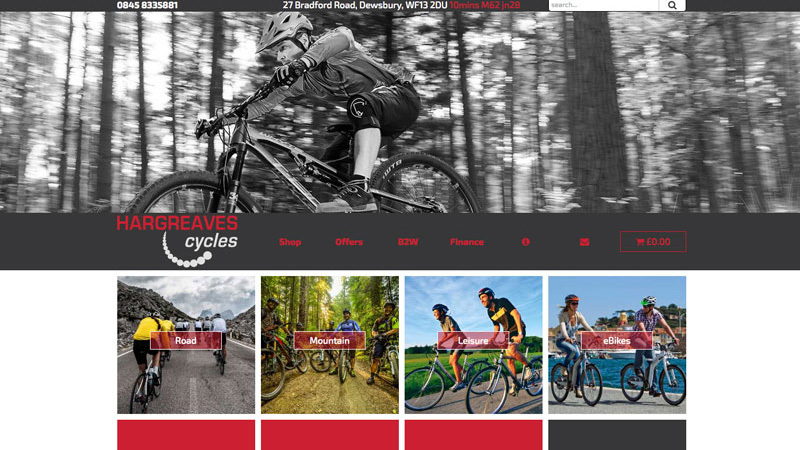 Hargreaves Cycles is a long established bike shop and a long-time iBikeshop client. We were first bought in to re-design and re-theme the site, add new content and clean up the product range.. The client was so happy with our work they contracted us to maintain all aspects of the site on an ongoing basis. We handle all aspects of Hargreaves Cycles online existence. From managing the site to social media, newsletters and online customer interaction.